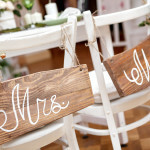 Young couples with a refined sense of style tend to lean toward having modern wedding themes. It’s cool, it’s fresh and it’s yet to be overdone. 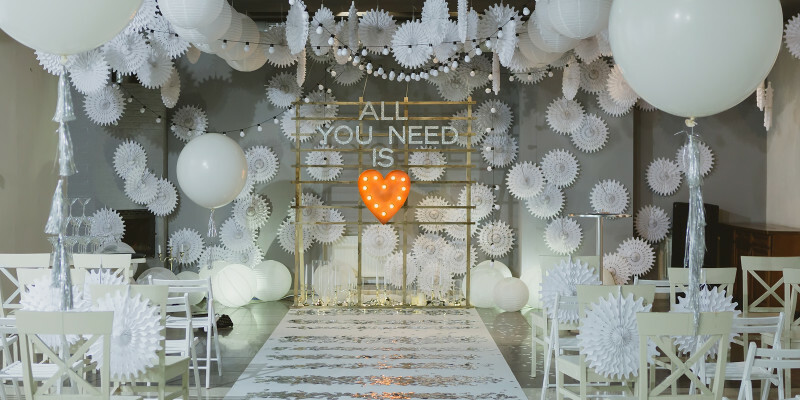 Here are some ideas to keep your modern wedding theme cohesive. Your venue should have a simple, cold background that you can warm up with your decor. A warehouse, a bar or hotel rooftop in a major city, or a loft are all great modern wedding options. A short or long dress can work. If you go for a traditional length dress, choose something with tons of structure and clean lines. No matter the style, choose a luxe fabric such as silk or charmeuse. Short cocktail dresses, but nothing poofy as that can be seen as a little too cutesy. Don’t be afraid of shine! Black or grey tuxedo in a slim cut with a pocket square. Keep it clean. White and grey, black and light yellow and light green, grey and orange, and slate and wine all complement each other nicely. Stay away from two bright colors together as it doesn’t fit the modern theme. Tapas (tons of small plate options) is all the rage right now. Finish the evening with a late night pizza snack. 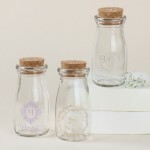 Think tons of high top tables, calla lilies in square vases, and paper lanterns. Keep everything simple and uncluttered. The first piece of mail that your guests receive from you should give off the vibe for what type of wedding you’re having. Your stationery should have modern fonts with not a lot of fuss. Modern is all about chic simplicity. Modern weddings are the epitome of cool. They’re sleek and stylish and perfect for a young couple. If you’re edgy or contemporary, a modern wedding theme is perfect for your big day.